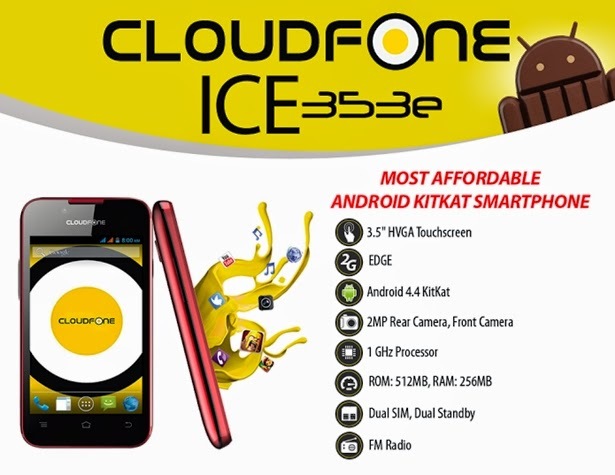 Philippine Mobile brand, Cloudfone has just announced the Ice 353e. An affordable smartphone features 3.5-inch display, 1GHz single core processor, 256MB of RAM and 512MB onboard storage. For ₱1,499, this device has two SIM slot with FM Radio for entertainment. It is available in black, blue, and red color variant.